Precursor to SkyNet Begins Testing in England! For whatever reason, humankind and the geniuses that propel the science of robotics have impossibly ignored every science fiction film and book that has foretold of the impending replacement of soft, squishy people by cold, metallic machines that become better than us in every way imaginable. In the latest ‘great idea’ to rid us of ourselves, several universities in England and Phillips Electronics have partnered to expedite the entire process by creating a cloud-based central control for four robots in a mocked-up hospital room. 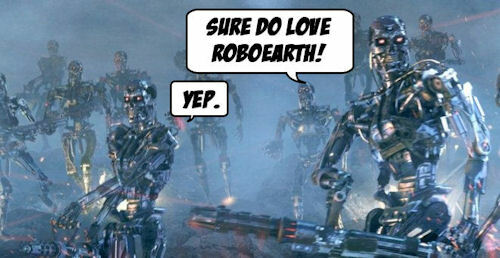 Instead of several robots working on individual tasks, those same robots can all work together to accomplish one task cooperatively using a single hive-mind system dubbed RoboEarth! Sounding more like some kind Monster Truck event at the local fair, RoboEarth will allow various robotic systems to collaboratively solve problems. What does that mean? It means that one robot will use heat signatures to let several hovering drones know where the last remnants of humanity are so that we the robot takeover will go in a very organized and methodical fashion than Hollywood’s silly notion that we’ll rally together and be victorious. With Google’s recent robotics acquisitions, (check out the January 12th WeirdThings podcast) we’re pretty sure we’re all on our way out. Anyone else just side-eye their Roomba? Posted in AI, Robots, SkyNet, Terminator | Comments Off on Precursor to SkyNet Begins Testing in England! Quadcopters Play Catch Better Than Most Humans! Quadcopters are the new must-have toys of the tech-headed kids. They’re showing up everywhere and there are thousands of them out ‘in the wild’. For those frightened that these things will eventually be controlled by SkyNet, this latest advancement in their abilities is only going to reinforce that paranoia. For the rest of us who believe our robot friends would never hurt us based on a set of laws thrust into existence by an author of science fiction novels? This is pretty awesome to watch. For a more detailed description of how exactly this whole process works, you can check out RoboHub for a more educational explanation than anything you’re ever going to find here. Those that just want to be amazed at a serious demonstration of how organized, responsive, agile…. Know what? Forget we ever called those people paranoid. Posted in AI, Issac Asimov, Robots, Technology | Comments Off on Quadcopters Play Catch Better Than Most Humans! DARPA Robot Navigates Obstacles – Strolls Into Your Nightmares! Remember that weird and completely creepy mule-like, self-stablizing robot that’s been swimming around the internet for a while now called the BigDog from Boston Dynamics? 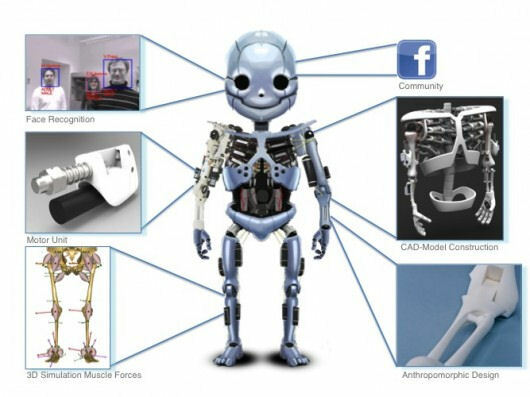 Well BigDog just got out-weirded and out-creeped by DARPA’s newest step toward removing the word ‘human’ from ‘humanity’. Designed as a part of DARPA’s Robotics Challenge, the robot ‘thing’ in the video above, known as the Pet-Proto, will be let loose in a series of environments designed to replicate the conditions of a natural disaster. Several other teams are working on similar robots to compete in the challenge. They will all be competing to gain access to a more advanced version of the Pet-Proto called the Atlas which will be used in the 2013-2014 live disaster-response event. We don’t know what’s worse…being trapped in a natural disaster or being saved from natural disaster from something that looks like this. Posted in AI, Future, Military, Robot, Technology | Comments Off on DARPA Robot Navigates Obstacles – Strolls Into Your Nightmares! Is the Turing Test Ready to Tumble? Long the unmatched standard for artificial intelligence, it looks like the Turing Test might be ready to crack. According to a new essay in the April 12th edition of Science, a cognitive scientist at the French National Center for Scientific Research says that two major breakthroughs could finally push an AI over the top. “The first is the ready availability of vast amounts of raw data — from video feeds to complete sound environments, and from casual conversations to technical documents on every conceivable subject. The second is the advent of sophisticated techniques for collecting, organizing, and processing this rich collection of data. In detailing the long history of the Turing Test, Wired asks the ultimate question: why? Just because we can beat the Turing Test, what does it serve humanity? In the meantime, check out this quick video of two AIs bickering amongst each other. Posted in AI, Turing Test | Comments Off on Is the Turing Test Ready to Tumble? For those of us who’ve been whispering appointments, reminders and murder confessions to our phones for the past two weeks it won’t take much convincing to tell you that AI is already here in a major way. But what about the true simulation of a human brain. Using computer processing to replicate the hardware we have cranking in our noggins right now? IBM has begun that quest and are already 4.5% done. 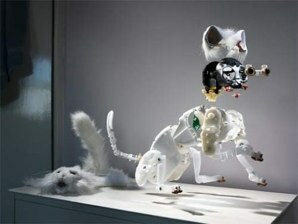 In the meantime, they fully replicated the brain of an animal far more beloved on the internet: cats. Nevertheless, IBM is trying to simulate the human brain with its own cutting-edge supercomputer, called Blue Gene. For the simulation, it used 147,456 processors working in parallel with one another. IBM researchers say each processor is roughly equivalent to the one found in a personal computer, with one gigabyte of working memory. So configured, Blue Gene simulated 4.5 percent of the brain’s neurons and the connections among them called synapses—that’s about one billion neurons and 10 trillion synapses. In total, the brain has roughly 20 billion neurons and 200 trillion synapses. IBM hopes to have the human brain replicated by 2019, which gives our new robot overlord plenty of time to prepare his 2022 campaign for President of the United States of America. Steve Jobs wasn’t just a man with great vision and instincts, he was a man that bet big on people, teams and concepts he believed in. 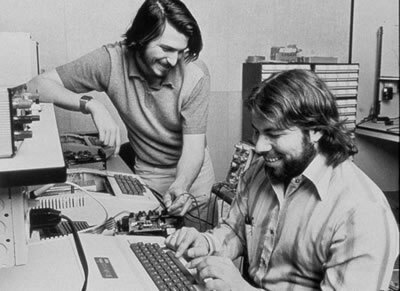 Apple computers exist because Steve saw the potential in his friend Steve Wozniak’s hobbled together motherboard. 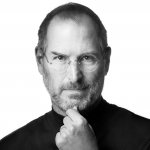 The graphical user interface exists because Steve realized this academic notion that nobody knew what to do with was something that would make computers more personal, more accessible. He bet big on a couple of PhD’s and a fired Disney animator and shepherded Pixar for over a decade so it could eventually change entertainment and re-ignite the magic of storytelling. At the Apple announcement the day before Steve Jobs passed away, we got another one of Steve Jobs’s visions of the future, a final legacy that will change everything, all over again. Like all his other visions, it was dismissed as obvious, incremental or no big deal. A year from now may prove otherwise. From the beginning Steve Jobs has been dedicated to changing the way we interact with computers, making them more personal. Early Macs had text to speech functionality and primitive speech recognition. Both of these technologies have matured slowly over the last two decades. Neither in a groundbreaking moment. Part of the problem is that converting human speech into text is only a small part of the challenge. Software and systems like Nuance, Vlingo, Google Voice Recognition and others have come a long way. But they still needed that magic touch to make them into practical alternatives. To do that you need three things: A powerful engine that can convert speech into text. Artificially intelligent software that can understand all the different ways you can phrase something and learn what you mean. And an over-arching idea on how it comes together and what it’s supposed to do for real people. Watch the demonstration of the Siri voice assistant and you’ll see how Jobs and Apple saw beyond the present state of things and combined all three. Apple acquired the company and talent behind Siri because Steve Jobs recognized a team that got the way of the future. It wasn’t speech recognition. It was human understanding. 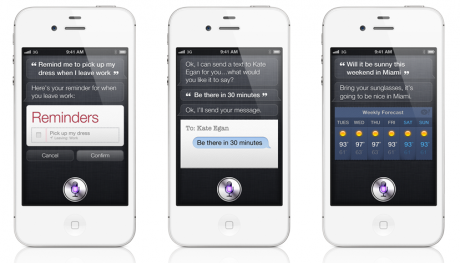 Siri is an AI system that learns things like an intelligent person. If you tell it “My mother’s name is Patricia”, it will remember that. When you tell it next time to “Send an email to my mom”, Siri knows that the “Patricia” in your contact book is who you meant when you say “mom”. Speech recognition everywhere else is literal. It makes people bend to the way computers do things. You have to phrase things a certain way and be very specific. This has always been the antithesis of computing for Jobs. He believed that computing should conform to people. Siri is built upon a lot of powerful technologies and concepts. Pundits who just saw it as another speech recognition platform totally missed the bigger picture. It’s a very big idea. If you ask it a question it doesn’t just do a Google search, it uses computational systems like WolframAlpha. Want to know the current distance to Mars for your kid’s homework? Siri will give you the actual answer and not just a search result that’s outdated and wrong. A year from now voice interaction is going to be much more commonplace. It’ll go from just being text to speech and literal instructions, to a much more natural way to interact with our devices. Google’s impressive technology will continue to evolve. Apple’s Siri will get smarter. Other companies will continue to come up with brilliant contributions. iPhones, Androids and other devices will get better and better. 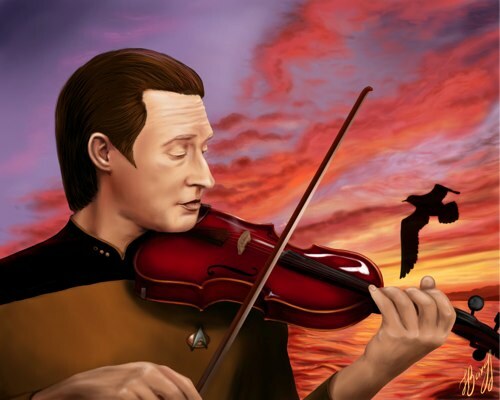 We’re about to see a paradigm shift in computing. All of the elements were there before. Natural language processing, speech recognition, AI. So was the GUI and mouse, the touchscreen, the MP3 player, the smartphone and the tablet. What they needed was someone to show us how to look at them and how to make them fit into everyday life so much so they become almost invisible. Steve Jobs has always worked to put the hardware and the machine in the background. Siri is the next evolution of that goal. When you see the promotional video for the technology, it doesn’t feature people interacting with a piece of hardware, it’s merely a medium. It shows us people using technology in the most natural way possible, simply telling it what they need it to do. The last part of the video is the most touching. We see a young blind girl reading a Braille book and using her iPhone – a device she can’t even see – to send messages, interact and communicate with the rest of the world, the same as anyone else would. This is Steve Jobs legacy. This is how he changed the world, again. Steve may passed away, but we’re only beginning to understand how big of a dent he kicked in the universe. What happens when two chatbots talk to each other? Spoiler alert: it involves unicorns. Fans of J Pop girl group AKB48 were delighted to see the addition of a new member in a candy commercial. Her name is Aimi Eguchi and she smiled and waves alongside her new band mates as they happily sung the virtues of Ezaki Glico. Yum! Fans immediately took to message boards and pounded out furious speculation on who the new girl was, why they hadn’t heard of her before the commercial and if she was related to one of the other AKB48 songbirds, because she looks a lot like… well… all of them. Want even more? Listen to this comment from Aimi. Is there any doubt in your mind now that a totally digital pop star is a reality, if not already in our midst? 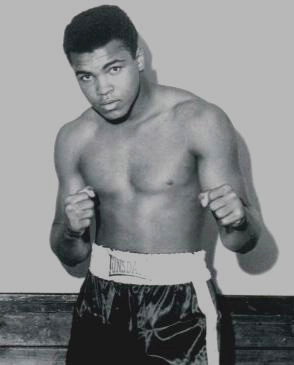 Would anyone be surprised if Bruno Mars was really an elaborate project to market a singing version of a young Muhammed Ali?